The beauty of beaches around the world is quickly becoming diluted with the eye saws of skyscrapers, concrete and the noise of growing cities almost spilling onto the sand. 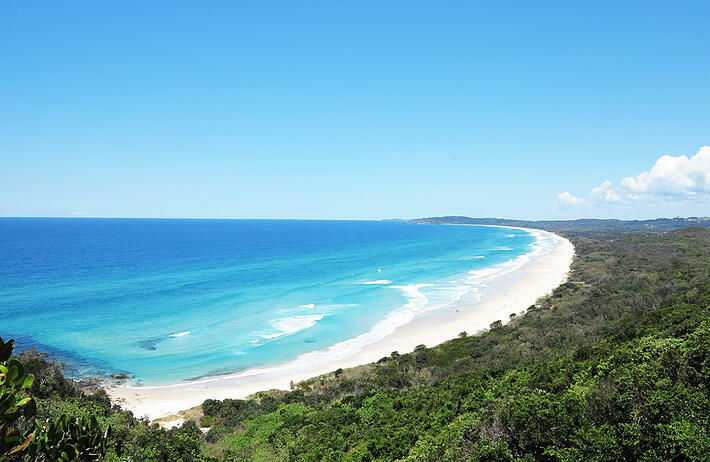 Here in Byron, the locals have fought to protect the natural landscape so our world renowned beaches can remain in their purity. 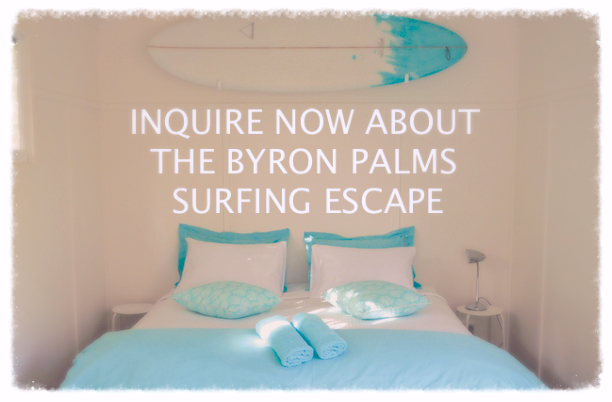 We have gathered everything you need to know about the 6 best beach spots within walking distance from your Byron Bay accommodation at Byron Palms Guesthouse. Belongil beach stretches from just left of the sea wall in town to further north. On the town’s side of the beach, you’ll see protruding shipwreck of the SS Wollongbar peeking out of the waves, perhaps with people snorkelling around it. The ship wreck creates a series of sand bars that result in good swell ideal for surfing, but this area can often become rougher than some of the other beaches. The beach gets quieter further north. Parts are dog friendly and eventually it becomes ‘clothing optional’ with many tiny coves in the bank to sunbake privately. 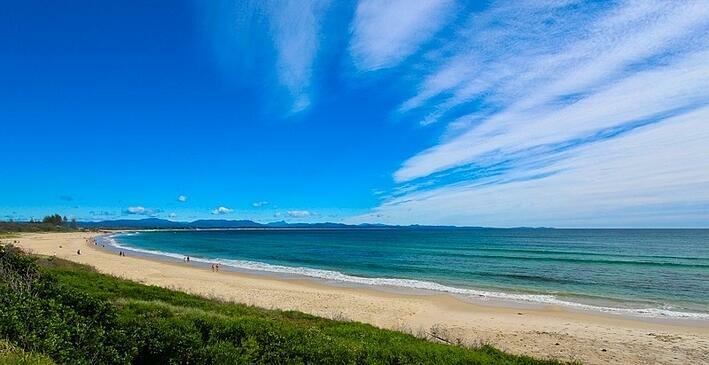 Main Beach is the town’s busiest beach yet is still holds its beauty in its clear waters, comfortable waves and perfect view in both directions. From the grass at the Apex Park at the top of town, you are about 4 meters from being on the sand at the beach. Most of the waves that reach the shore must refract around Cape Byron, limiting wave height and providing safer swimming conditions. It is patrolled and flagged so is popular among families and travellers. 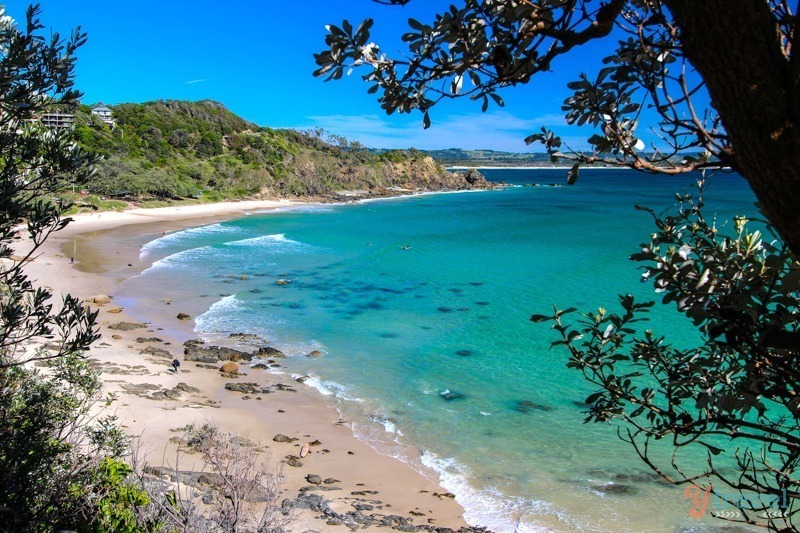 Situated between Main Beach and the Pass, Clarkes Beach is a north-facing beach perfect for swimming. The waves are relatively small and great for body boarding or first time surfers. Much quieter than main beach, this spot is a favourite for many water activities, including windsurfing, paragliding, kite-surfing and long boarding. The view over the hinterland makes Clarke’s beach ideal for sunset walks, catching a glimpse of the array of colours in Byron’s sunsets. The Pass is connected to the right side of Clarke’s beach during low tide. It features one of Byron’s best lookouts on the large wooden structure built on top of a tall natural rock face next to the shore. From here, you have a view south, peeking around to Wategos beach and north, sights of the coast line. This makes for magical views from dusk ‘til dawn at The Pass. The waves curve around Cape Byron, running at a right angle to the shore. It can be hazardous for swimming but internationally recognised for surfing. 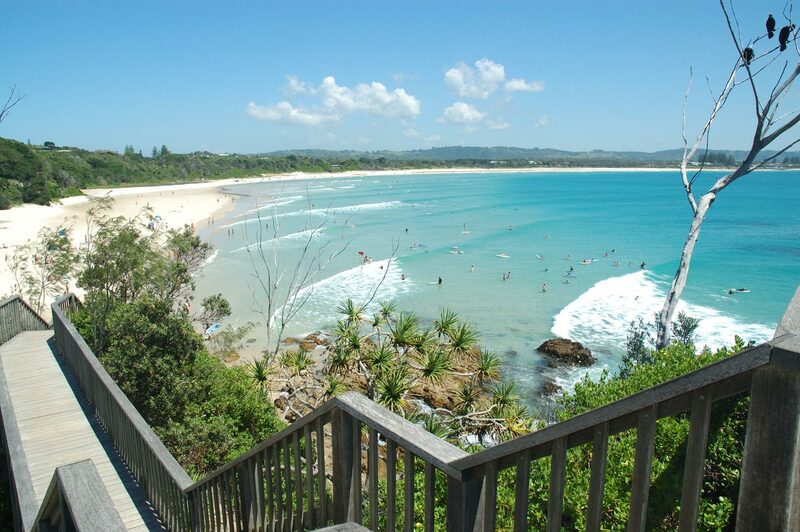 Wategos Beach is located at the bottom of the valley at the tip of Cape Byron. Only about 600 meters in length, the beach’s beauty and crystal clear waters is what makes it so popular amongst swimmers. The waves break progressively, attracting longboard riders and learning surfers. At the edge of the carpark, the entry to the national park leads up the famous light house walk, to the most easterly point of Australia with breath taking views. Close to the start of the walk, is a track that leads down to Australia’s most easterly beach, Little Wategos. Little Wategos is quiet with rocks to climb and a low tide, rock pools to relax in. Tallows beach is on the southern side of the light house stretching from Cosy Corner to Broken Head. The beach isn’t ideal for swimming and surfing due to hoppy and erratic with dangerous swimming and surfing conditions and frequent rips. It faces directly at the sunrise with views of the whole horizon. Great location for beach walks and is dog friendly too. Being one of Byron’s quieter beaches makes Tallows good for setting up a sun shelter and relaxing all day at the beach.